If you're a Nintendo fan, tomorrow's kind of a big deal. Nintendo of America and Nintendo of Europe are expected to blow the lid off their 3DS launch plans on Wednesday morning at two special events. Nintendo is launching its brand new platform, the Nintendo 3DS, across the globe over the next two months. It's not often we get fresh hardware, so we're really, really excited. We'll be liveblogging and posting new details throughout the day. Kotaku will be at the Nintendo 3DS event in New York City, which kicks off at 9 a.m. Eastern time (or 7 a.m. Kotaku Time). We're expecting release dates, launch titles and prices for hardware and games to be revealed for North America and Europe, so tune in if you want to be in the know. Nintendo has already revealed its launch plans for Japan, announcing the ten video games that will ship alongside the Nintendo 3DS. What are you hoping to see from Nintendo tomorrow morning? 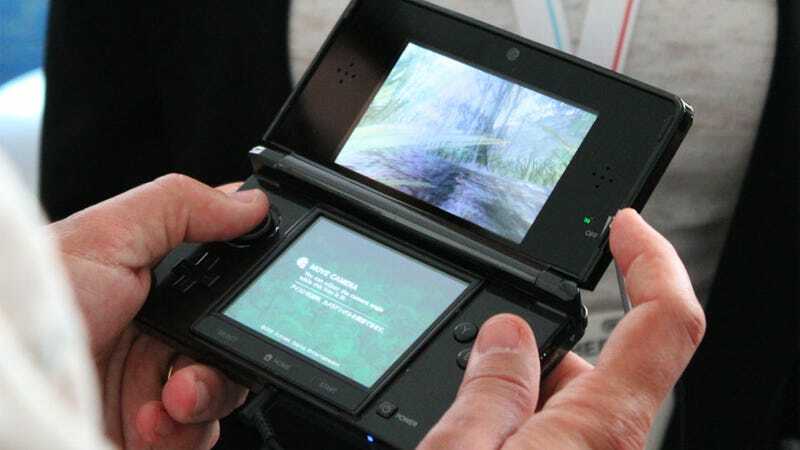 Just how much are you willing to pay for glasses-free 3D from Nintendo? Any bold predictions you want to make? Now's the time!